IMVUKSA Product Extractor is completely free to download and try! 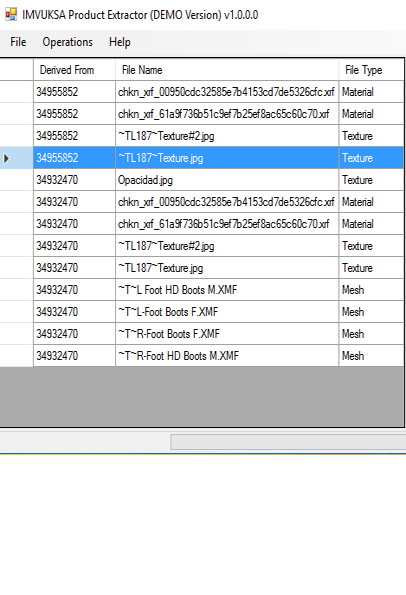 Extract all product assets ( textures,audio,Meshes,skeletons,animation,materials ) from IMVU Products. Boost your monthly IMVU credits income by speeding up creation time. Easy to use, Responsive features. 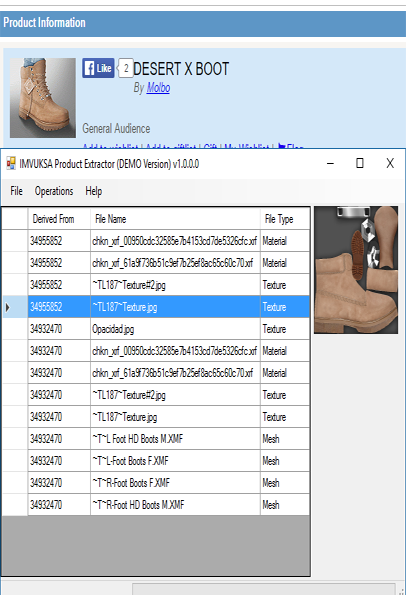 It will extract all product assets ( textures,audio,Meshes,skeletons,animation,materials ) from IMVU Products even if they were disabled or hidden. Our softwares are easy to use. Buy full version license to unlock limitations. Our softwares free from viruses,adwares and malwares. Buy License Code to unlock limitations. © 2018 IMVUKSA Solutions. All Rights Reserved.